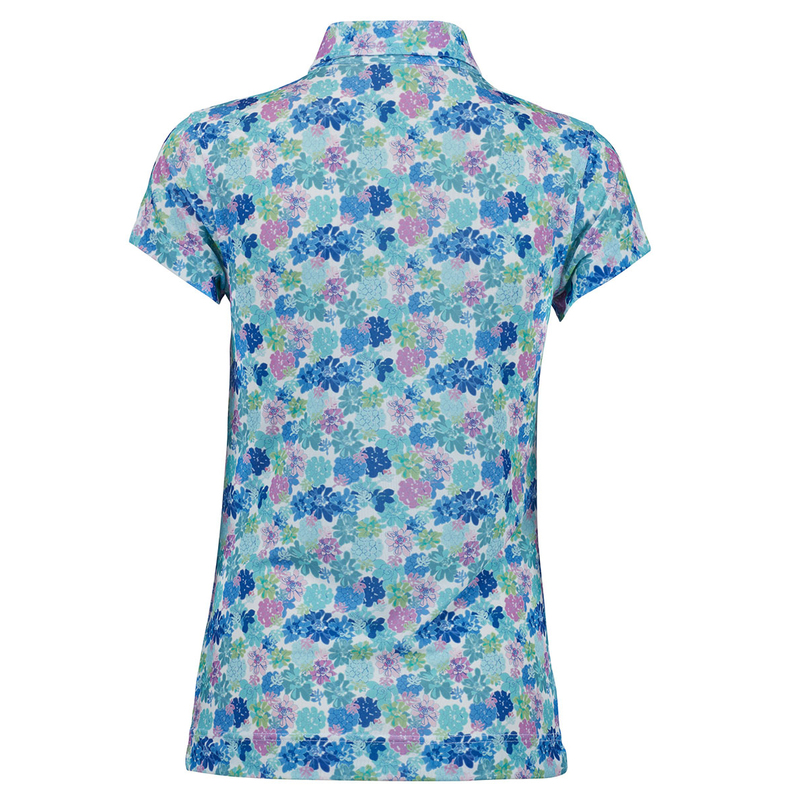 This fully fashioned polo shirt is ideal for playing summer golf, with a beautiful flower print, and highly breathable mesh fabric to keep you comfortable as you play. 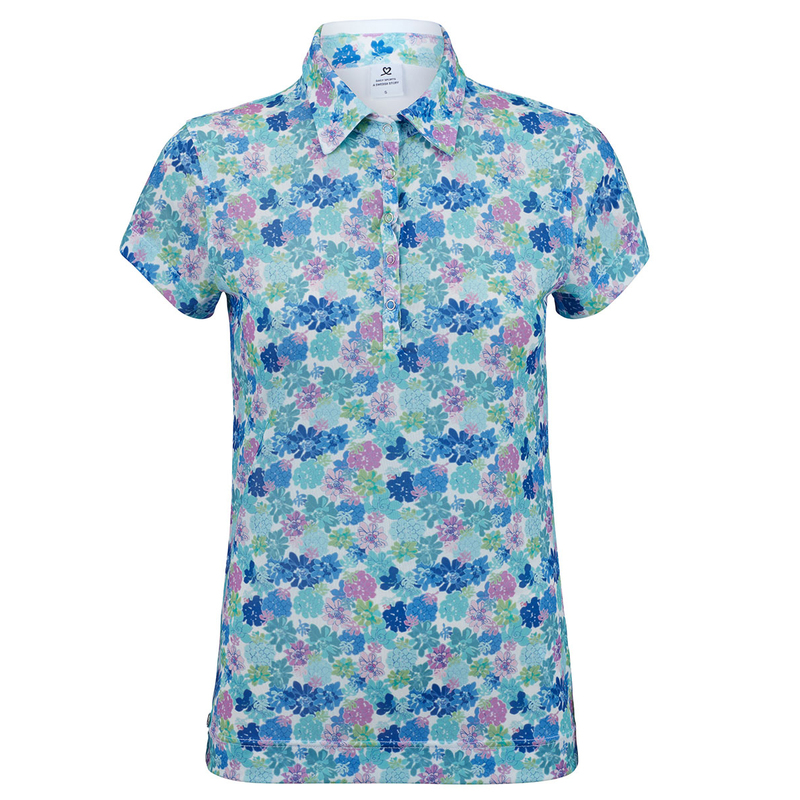 The shirt has moisture wicking properties to keep you dry, and has a stretch content to ensure optimum freedom of movement during the athletic movements of the golf swing. Made specifically for the game of golf with a fold over collar and buttoned neckline, and a tightly cut to curve the body of the modern golf athlete.